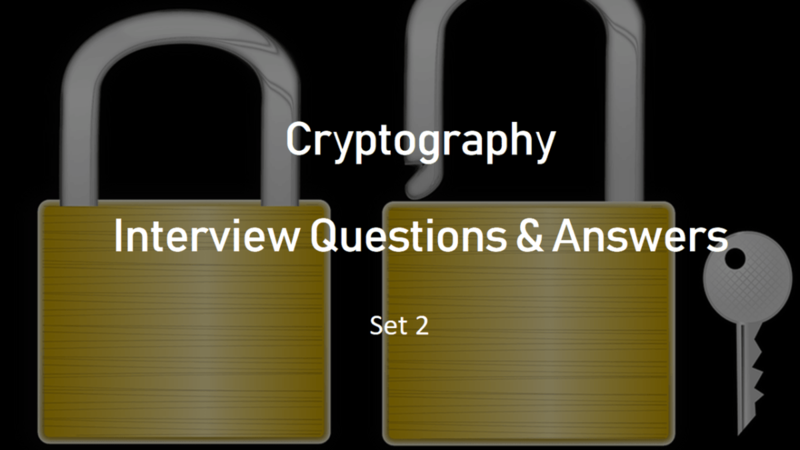 Here we are discussing interview questions and answers on cryptography. Cryptography is a very hot topic for security professionals nowadays. This is set 2 for this topic. Q1. What is Running Key Cipher? Ans: Running key cipher is also called book cipher. In this cipher, length of cipher is of the same length as of original message. Here, both sender and receiver agree to use the same chapter of the same book to encrypt and decrypt the message. Q2. What is Block Cipher? Ans: Block cipher is a method of encrypting data by using cryptographic key and algorithm apply to a block or chunks of message simultaneously rather than individually. The transposition cipher is an example of Block cipher. Q3. What is Stream Cipher? Ans: In this cipher, the cryptographic algorithm is used to encrypt or decrypt a message one bit or character at a time. The Caesar cipher is an example of the stream cipher. Q4. List out different types of encryption algorithms. Q5. List down some Hashing Algorithms. Q6. What is Data Encryption Standard (DES)? Ans: DES or Data Encryption Standard is a type of symmetric key algorithm to encrypt data into a non-readable form. DES uses the same key of size 56 bits to encrypt and decrypt data. Q7. What is Triple DES (3DES)? Ans: Triple DES is a type of symmetric key algorithm and uses 168 bits key (three 56 bits keys) to encrypt or decrypt a message. It is considered strong algorithm than DES. Q8. What is International Data Encryption Algorithm (IDEA)? Ans: International Data Encryption Algorithm (IDEA) algorithm is a symmetric-key block cipher operates on 64-bit blocks using a 128-bit key. Q9. 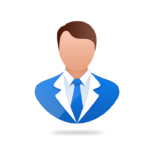 What is Cryptographic Life Cycle? Ans: Cryptographic Life Cycle suggests an idea of a lifespan of any cryptography algorithm. As an enhancement of computing power increases day by day, it is easy for processors to guess cryptographic keys. Security professionals must diligently identify the life cycle of these algorithms and suggests suitable replacement when needed by an organization. Q10. What is Advanced Encryption Standard (AES)? Ans: Advanced Encryption Standard (AES) is a symmetric key block cipher used for encryption and decryption of messages.